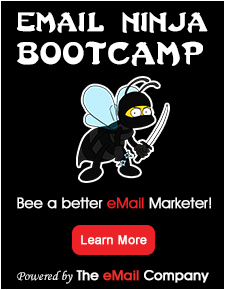 To accelerate the performance of your email marketing program, you need to go beyond best practices and marketing intuition. Only with a measurable and repeatable methodology can you effectively engage your customers from introduction to conversion. 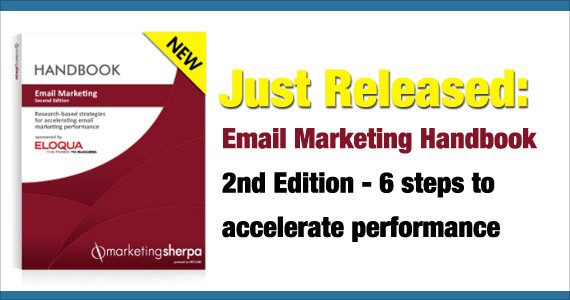 According to MarketingSherpa’s new Email Marketing Handbook 2nd Edition, this can be broken down into six actionable steps, giving you a methodical way to improve the accuracy and effectiveness of your email communications. This 252-page handbook helps guide marketers through a step-by-step process to elevate their email program results. You’ll also receive worksheets and exercises designed to help you prioritize and fine tune your message when adding lifecycle communications or promoting the latest mobile app. Our goal is to have this handbook become your trusted resources for executing meaningful email communications. For more information on the handbook, click here to download a free excerpt. P.S. As MarketingSherpa newsletter subscriber, you can save $100 off the regular price of the Email Marketing Handbook 2nd Edition. But hurry – this offer ends on Feb. 17.